WE HAVE MOVED!! March 2018 was a big month for us here at Eye Care Center. Our previous location was in Bryan, TX near St. Joseph's hospital at 2320 East Villa Maria. 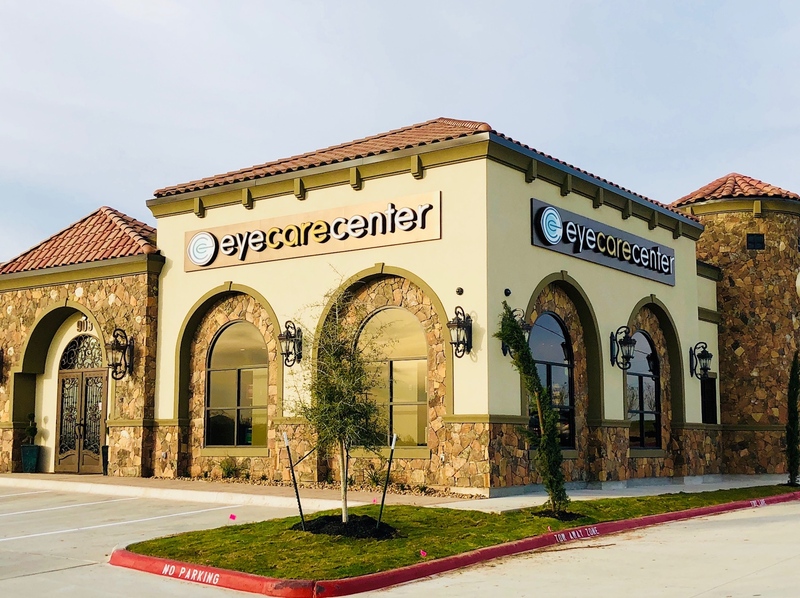 Now, our new home is conveniently located in South College Station, Texas near HEB in the TowerPoint area right off Highway 6 and William D Fitch. Our new address is 903 William D Fitch and we are located approximately 0.5 miles west of Highway 6 on William D Fitch between Bahama Bucks and Taco Bell. At Eye Care Center, our professional eye care staff will be happy to assist you with your vision needs. we pride ourselves in providing the utmost quality care, complete with the latest advancements in technology. Our sleek new cutting edge facility is now equipped with the highest level medical and optometric equpiment to provide treatment options available for everyone. Whether you are interested in making an appointment for a LASIK consultation, have cataracts, need an annual eye exam, or just need glasses, we can help! You may TEXT or call (979) 779-9000 with eye exam appointment requests for Dr. Belinda Dobson, OD or Dr. Abby Zike, OD. Contact us today using the forms below, or call us directly at (979) 779-9000. Schedule Appointment Online Email Our Office Want to Join Our Team? Did you ever visit us in Navasota?